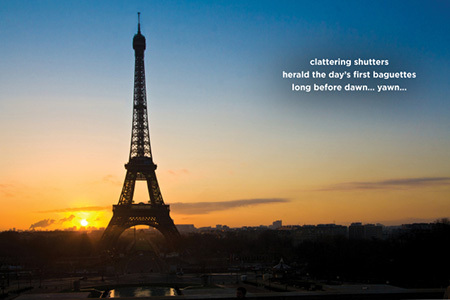 Welcome to the June 2016 edition of our newsletter Paris Panorama! 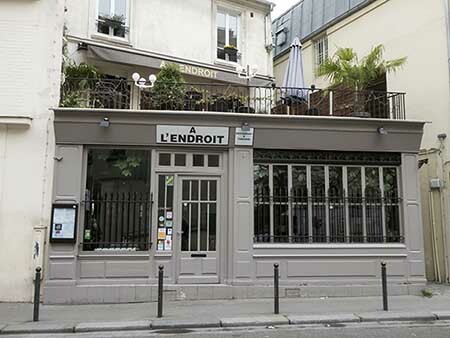 Located on the southern flank of Buttes Chaumont Park in the 19th arrondissement, A l’Endroit, as its name suggests, is the spot for fine dining. Gleaming above the courtyard of the Galerie Robert de Sorbon, two magnificent gilded angels epitomize the opulent reign of the Sun King, Louis XIV. 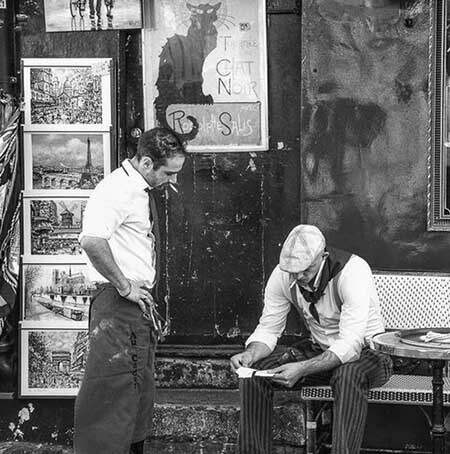 Arrayed in intricate, open wings and lushly draped, one measures the dimensions of the earth with a compass, while the other readies a tablet for notation. Above them, a complex sundial indicates hourly markings in full lines, and half-hours in dotted; diurnal arches are diagrammed along with indications for the 21st of each month. 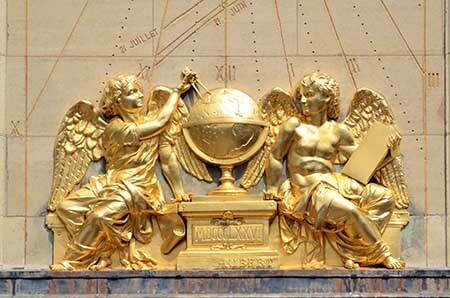 Jean Picard, an astronomer abbot, designed the sundial with its elegant winged figures in 1676.